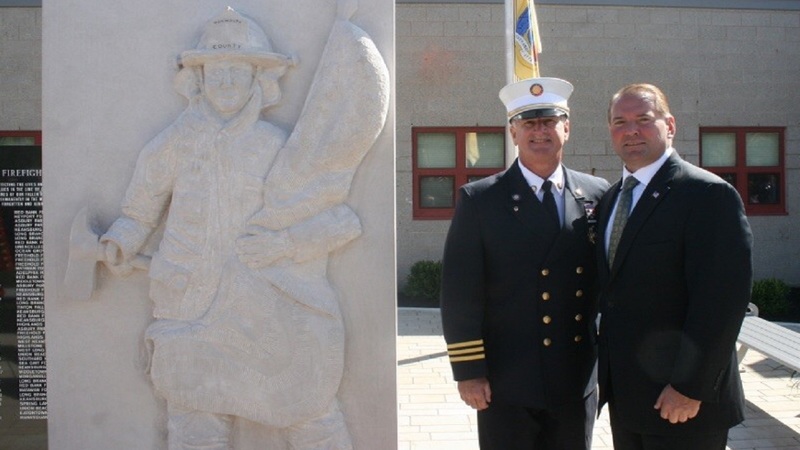 FREEHOLD, New Jersey (WABC) -- A Fallen Firefighters Memorial was dedicated to honor all of the firefighters in Monmouth County on Sunday in Freehold, New Jersey. Monmouth County Sheriff Shaun Golden was on hand at the ceremony, along with Fire Marshall Kevin Stout. The memorial and garden sculpture were dedicated by the Monmouth County Board of Chosen Freeholders. Sheriff Golden added; "Numerous fire departments from around Monmouth County joined in on the ceremony to honor the 47 fallen firefighters in the county. All firefighters are listed by name, year, and their department on the memorial."